Thank you for contacting Knit-a-square. So that we can direct your enquiries to the right place, you can check out all the ways to connect with us below. The most immediate way to have your queries answered is to post it in Facebook. Our friendly moderators all around the world are likely to answer your query in a short time. 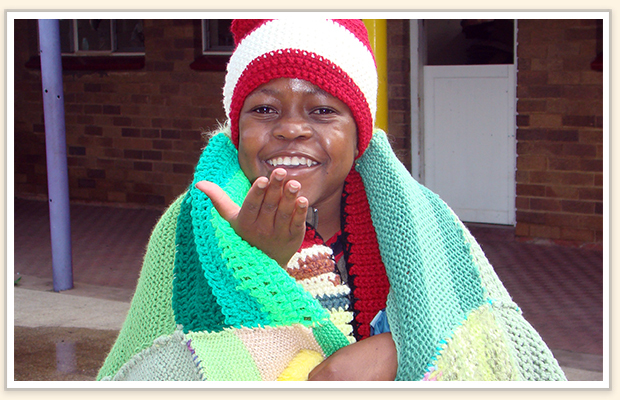 We look forward to having your company as part of our worldwide KasCommunity, the warmest crafters on earth, and helping you to contribute to our crochet and knitting project to warm and comfort orphaned or vulnerable children. 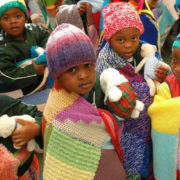 For enquiries about delivering contributions in person to Knit-a-square South Africa, volunteering or your schools’ involvement in the project, the contact details are listed below. NO ITEMS TO BE SENT VIA THE SA POST OFFICE ADDRESSED TO THE PHYSICAL ADDRESS. 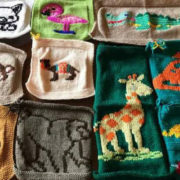 If you have any inquiries regarding loom, crochet or knitting squares and other items, please follow the link here for the Square Instructions, or else click the icons in the right hand column to visit us on Facebook or join our Square Circle forum for answers. Please contact info@knit-a-square.com if you are having any problems navigating the site or finding the information through links on the site. We greatly appreciate your advice if things are not working on the site as they should. Thank you.